Come to Paint, Stay to Explore. Your time with us will be full of wonderful painting spots, breathtaking views and charming villages. But why not take in more? Shouldn’t you extend your stay? Guests ask us “Where should visit?” before or after their workshop or art retreat. You have invested in an overseas trip and seeing more of what France and Europe have to offer just makes sense. It’s not hard to fall in love with France and here’s our advice on where to go. Most of our guests prefer to stay in the South of France or to venture up to Paris, so that’s what we’ll focus on here. 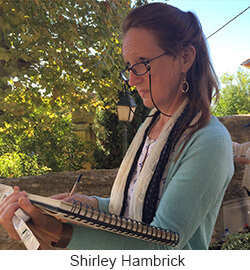 We use two principal locations for our workshops and retreats, a château near Avignon and another near Aix-en-Provence. 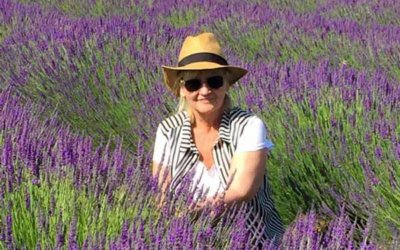 It’s a no-brainer that if you come to one chateau and want to stay longer in Provence, you could simply opt to explore the area around the other. One château is about 30 minutes from Avignon and while there you can expect to visit some of the area’s most paintable places. However, there are other fabulous villages where we can’t paint due to the crowds or lack of facilities – in other words, they are not suitable for setting up painting gear. Since these locations are still a must-see, we usually squeeze in a drive-by and quick stop-off to shoot pictures on our Photo Safari, and they are well worth a return visit! This part of Provence is famous for its “perched” villages – villages built upon rocky hills, that leave the good arable land below open to farming grapes, olives, fruit and lavender in abundance. They vie for the Most Beautiful Villages in France designation. These locations are full of character with winding streets and jaw-dropping charm. Take loads of pictures to fuel inspiration for months, if not years. Some of the villages perchés include Gordes, Bonnieux, Les Baux and Roussillon, each with its own character and flavor. A favorite is Lacoste, a hillside village that connects you to the past. 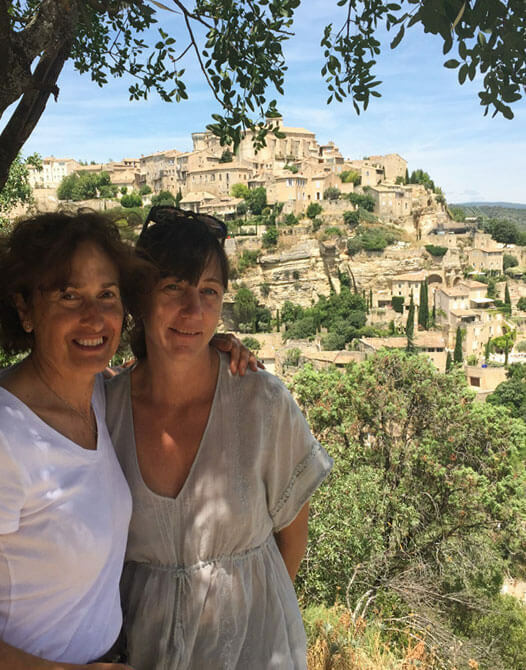 Imagine it – a hilltop château overlooking the Luberon valley, with winding, stepped, cobbled streets that allow pedestrians to meander through the village below. There is a sense of both timelessness and anachronism in Lacoste. Made infamous by the Marquis de Sade who occupied the château in the mid-1700s, the village is now home to (SCAD) the Savannah College of Art and Design’s Study Abroad Program. You’ll often see art students in the village practicing contemporary art in the traditional surroundings of a medieval fortress village. The city of Avignon is one of the gems of Provence. It has a rich history and still boasts its walled, medieval center with the Palais de Papes (the Palace of the Popes) at its heart. The old city has great cafés and restaurants, charming shops and plenty to see. We don’t paint here as parking is a veritable nightmare due to the construction of a tram system around the walled city’s perimeter. But, for intrepid guests, it is virgin territory. Our other Chateau is outside of Aix-en-Provence, the home of Cézanne. Although we will be spending time in Aix, it is well worth another visit as there is so much to see and do in the ancient Roman Capital of Provence! It has some of the most impressive 17th-century architecture outside of Paris, with broad tree-lined streets, fountains galore (they say there are a thousand) and a thriving café scene. Oh, and Art Museums! 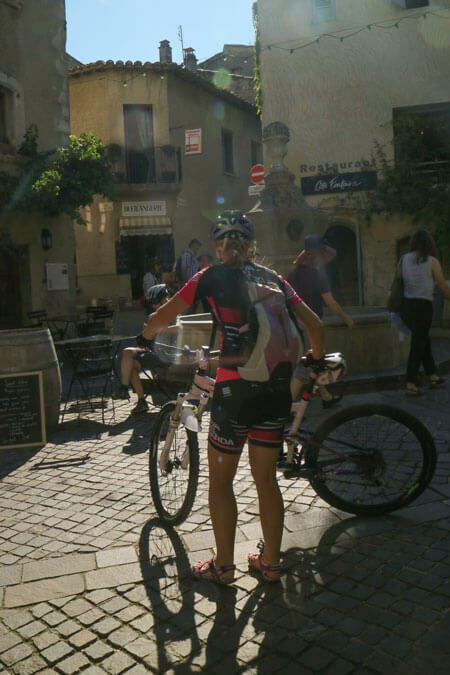 The villages of Lourmarin and Cucuron are both visit-worthy, as are any of the other little villages tucked away in the nearby Luberon hills. Does a swim in the Mediterranean sound divine? Keep in mind that this is the South of France – so spending time by the Mediterranean Sea is a must! 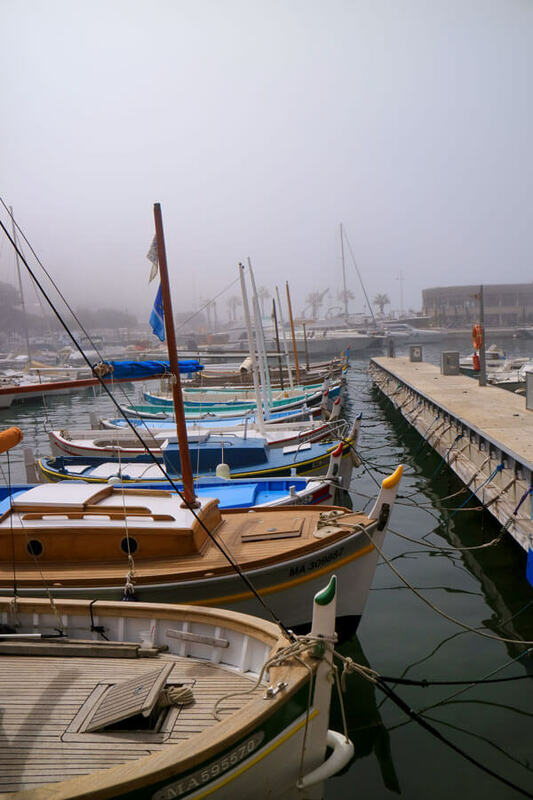 Our favorites fishing villages are Cassis and La Ciotat, and there are plenty more to explore. You can travel the coast all the way to the Italian border stopping to delight in Antibes, Cannes, Nice, Villefranche-Sur-Mer or Eze. Nothing compares to having lunch at one of these spots, watching the fishing boats unload their catches and of course, the seafood is as fresh as can be! Well, perhaps returning to a seaside bar for an evening glass of Rosé as the sun sets would be just as fine. From either Avignon or Aix-en-Provence, Paris is only 3 or 4 hours away by high-speed rail. Many guests love to explore the city of lights and love, France’s romantic capital. 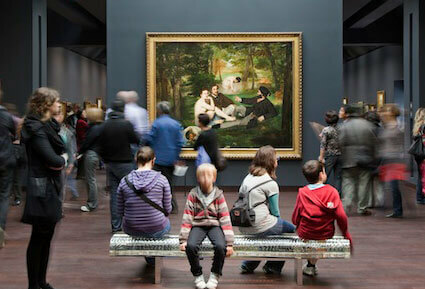 The museums in Paris are among the top rated in the world. Monet’s garden at Giverny can be reached easily from Paris. So different from the South, Paris can add another whole level of experience to your trip. As you can probably tell, we fell in love with France and could go on with more suggestions but part of the joy of this region is discovering it for yourself! 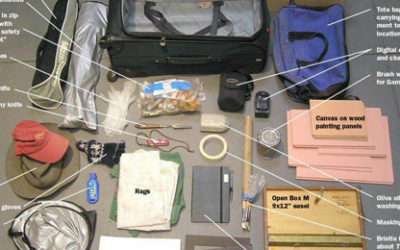 Taking a diversion from your planned trip can often lead to you stumbling upon your own hidden treasure. Happy hunting!